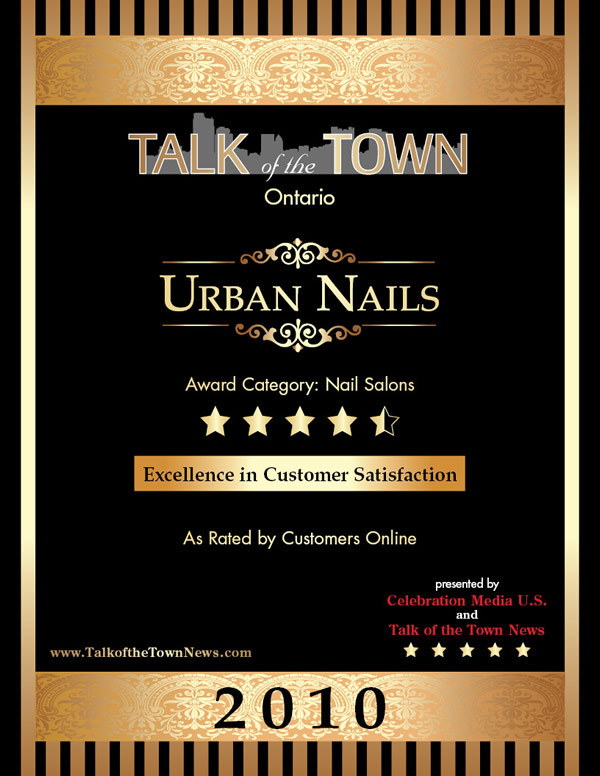 Urban Nails has garnered some rave reviews since our grand opening in January 2008. 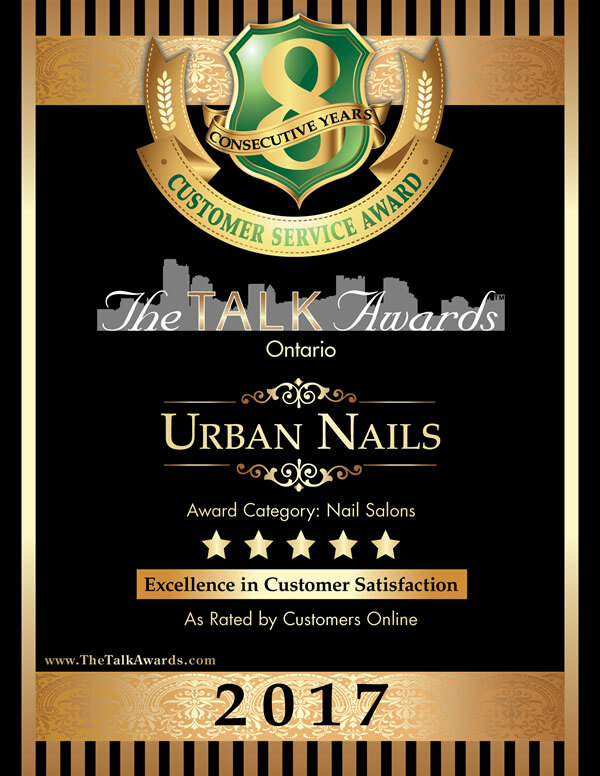 Voted one of the Best Nail Salons for Excellence in Customer Satisfaction 2010 to 2017 by The Talk Awards. 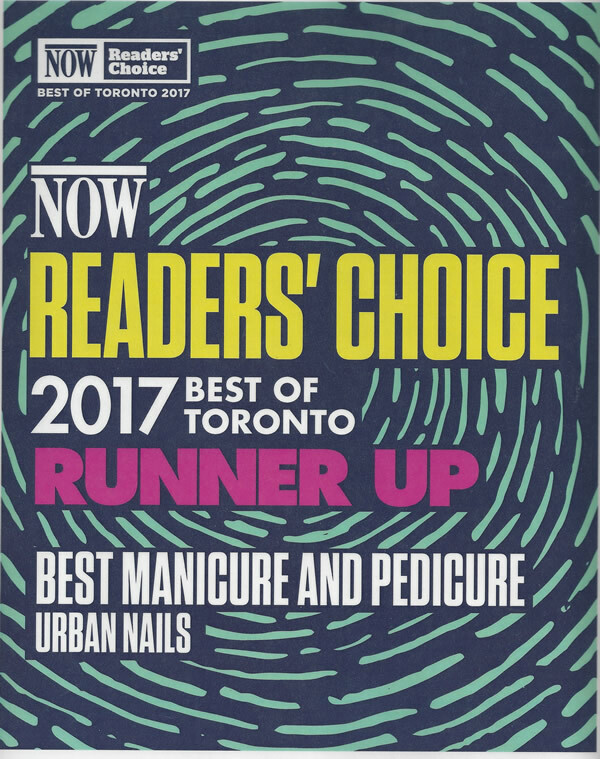 NOW Magazine readers have also voted Urban Nails for BEST MANICURE and PEDICURE in Toronto (Runner-Up) 2016 & 2017. 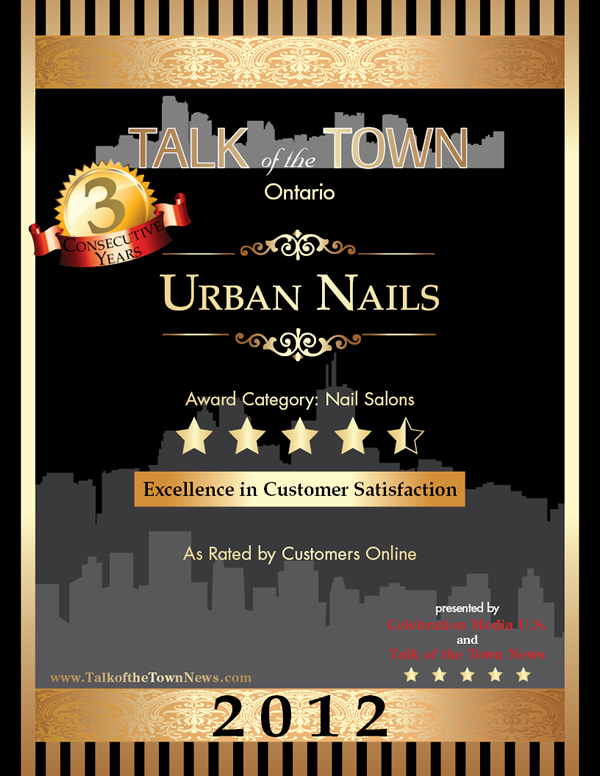 Urban Nails has been voted BEST NAIL SALON in Toronto for 2016 & 2017 by Top Choice Award. 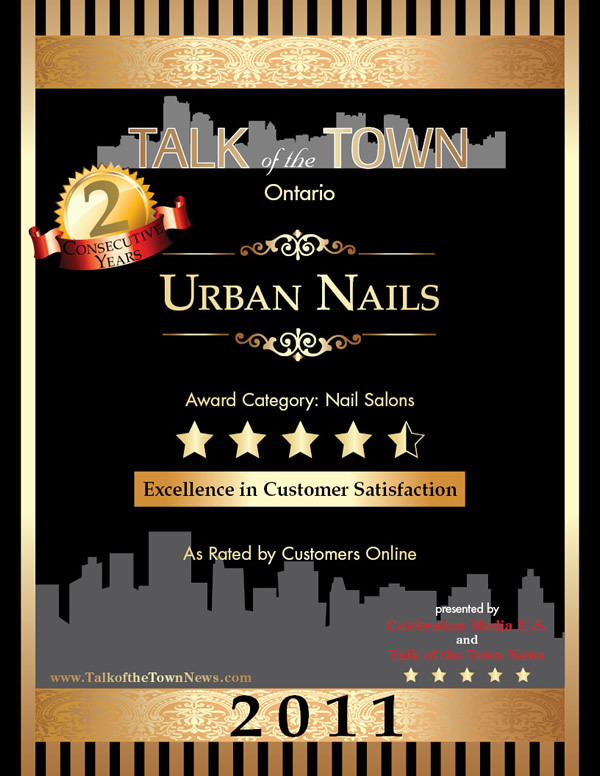 Take time out for yourself at Urban Nails, a full service nail salon for hands, feet and body. 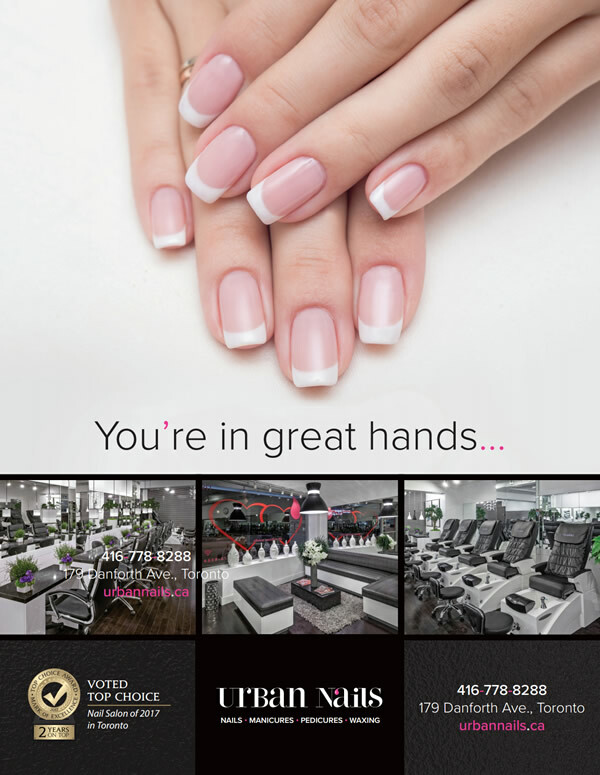 Whatever your age, you’ll find the professional care you need here in a stylish and friendly ambiance. 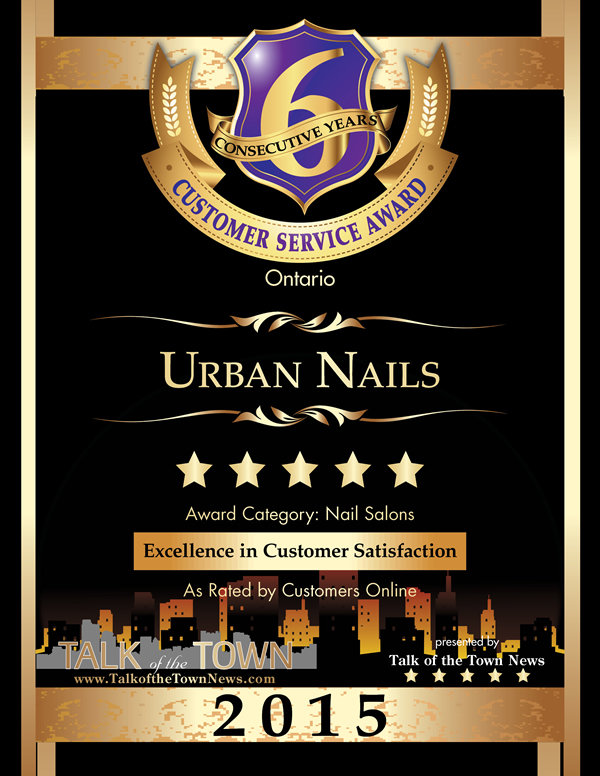 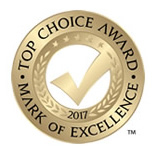 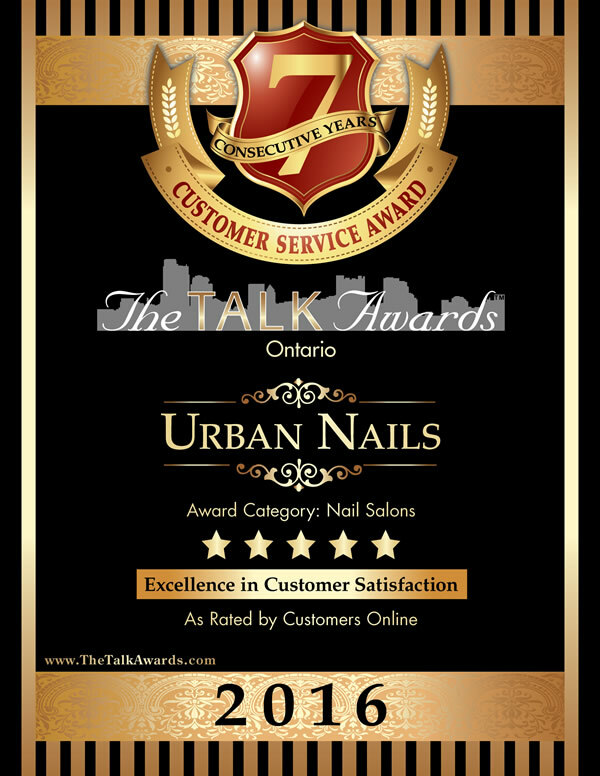 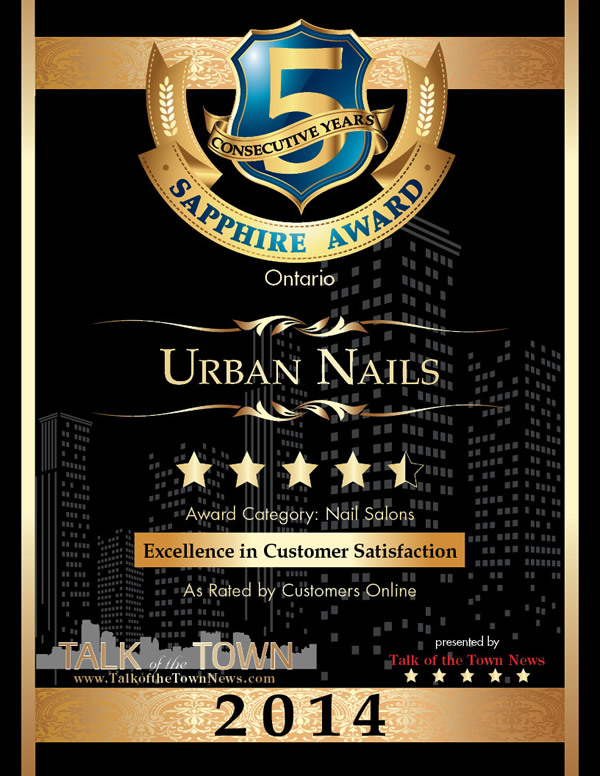 Urban Nails has been voted BEST NAIL SALON in Toronto for 2016 - 2017 by Top Choice Award. 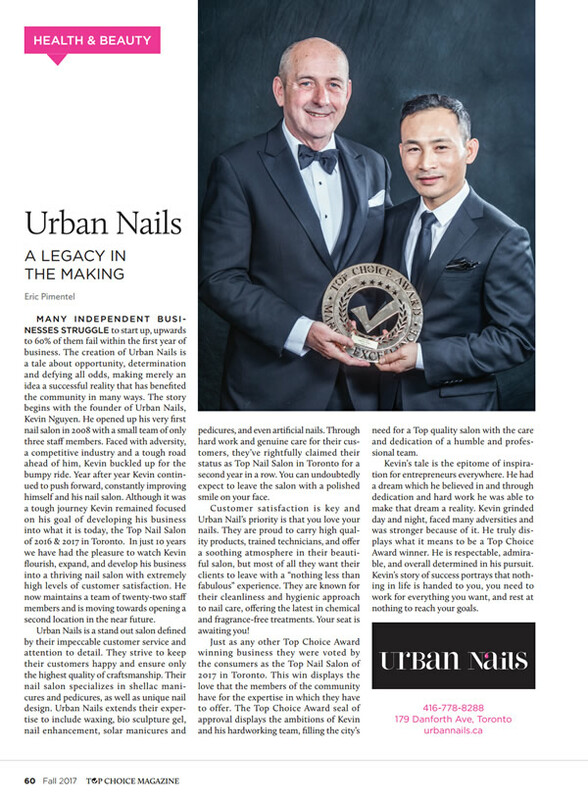 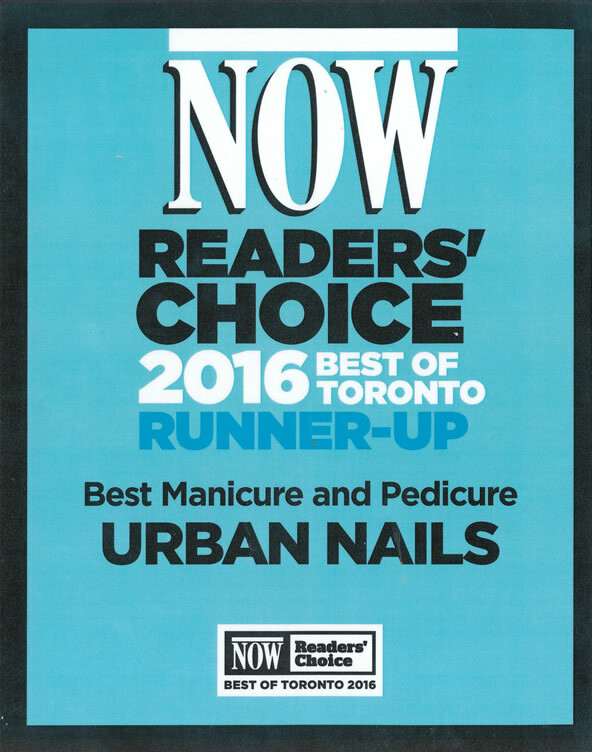 NOW Magazine readers have also voted Urban Nails for BEST MANICURE and PEDICURE in Toronto (Runner-Up) 2016 - 2017. 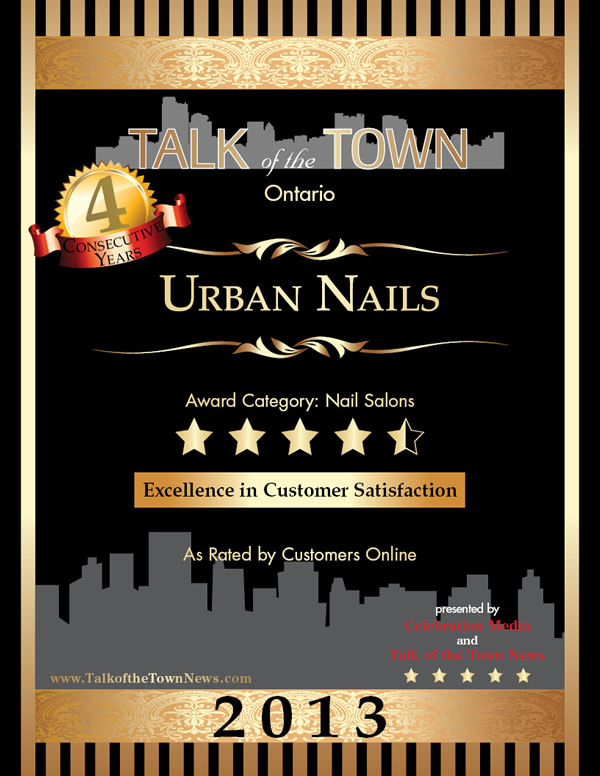 Voted one of the BEST NAIL SALON for Excellence in Customer Satisfaction 2010 to 2017.